The Indiana branch of Insurance Company AAA launched an unsuccessful lobbying campaign to bring speed cameras to another state. We reported some time ago how "AAA Hoosier" had expressed on their website that "the AAA Hoosier Motor Club will focus its efforts on supporting legislation that would allow for the use of speed enforcement cameras in construction zones, school zones". Last year the organization stepped up its campaign in favor of photo enforcement by promoting a series of news articles and editorials supporting legislation which would have introduced speed cameras to the state. 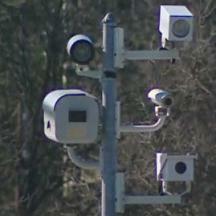 The bill also authorized cameras on school bus stop arms, and advocating for that portion of the bill was largely used by proponents to distract from the speed camera element of the bill. In an editorial on NWI.com, AAA's spokesperson Greg Seiter plead for the legislature to pass the photo enforcement bill. "The issue isn't driver privacy, government intrusion or motorist inconvenience. House Bill 1404 is about preventing injuries and saving lives." House Bill 1404 would have put speed cameras in highway work zones, similar to the ones used in Maryland. However the Indiana bill which Insurance Company AAA supported would have had $300 fines, which would have escalated as high as $1000 after multiple violations. The bill explicitly permitted "bounty system," paying contractors a 25% cut of each ticket, which in other states (including Maryland) AAA has claimed was a conflict of interest. The bill Insurance Company AAA supported also contained a presumption of guilt by explicitly stated that "There is a rebuttable presumption that the owner of a vehicle that is the subject of a recorded image was operating the vehicle when the image was recorded" -- a presumption which is in fact not true in many cases. The National Motorist Association, the only nationwide organization to defend motorist rights, wrote a counter-editorial to Insurance Company AAA's. The NMA's John Bowman argued that "Speed Cameras won't live up to safety promises" and that "putting speed cameras in highway work zones will do little to protect workers since only around 14 percent of work zone fatalities involve workers and many of these are caused by construction vehicles or other non-traffic related causes, according to the U.S. Department of Labor." "The purpose of all camera-based traffic enforcement is to enrich the for-profit camera companies and their business partners: the public officials who become addicted to the easy revenue cameras provide" Bowman stated. Barnet Fagel, a Chicago based video forensic expert and NMA advocate, argued “Where’s the due process? Who’s the person who’s going to testify in court against you, the camera?” Fagel also noted "Even the finest cameras are subject to error; cosine angle factor error and operator error. I’ve had one (case) where a car was on the back of a tow truck being towed, and the driver was exceeding the speed limit. And, the owner of the towed vehicle got the ticket because that’s the license plate that was most readily seen"
A unique coalition of limited-government Republicans and liberty-loving Democrats united in opposition to Soliday's idea of authorizing the state or a local government to deploy cameras in road construction areas that would snap photos of speeding motorists 24 hours a day, even if no workers were present, and send tickets demanding fines of up to $1,000 for repeat " and "State Rep. Matt Pierce, D-Bloomington, who noted his agreement with Washburne 'is kind of an ACLU meets Tea Party moment,' said he doesn't want Indiana to become like many other states where speed cameras are loathed. "This kind of automated enforcement really turns people against their government," Pierce said. "I think it breeds contempt for government." A letter the Maryland Drivers Alliiance sent to AAA's Greg Seiter in February about the bill went unanswered. It's unclear whether AAA Hoosier will attempt to promote a similar bill again next year. AAA describes itself as a motor club, and claims to advocate for motorists, sometimes publicly going on TV to advocate for ticketed motorists. However AAA is one of the largest sellers of insurance in the US, collecting over $2billion in insurance premiums per year. AAA has an intimate relations with the auto insurance industry: "The Auto Club Group" (AAA) is a member of the insurance industry group IIHS, and in the past a representative of AAA has even chaired the IIHS. Some of AAA's other positions, which many motorists and AAA customers oppose, have included arguing in favor of a VMT (Vehicle Mileage Tax) in Idaho, and advocating an increase in the federal gas tax, and supporting an increase in the state gas tax in Virginia. AAA Mid Atlantic's Lon Anderson took credit for getting statewide speed cameras passed in Maryland and for getting red light cameras reintroduced in Virginia. Anderson also stated to the Gazette that AAA was trying to get speed cameras for Maryland years before we actually got them. A research paper published by AAA Foundation for Traffic Safety asked that the federal government should "Encourage states and communities to use automated enforcement as appropriate". The paper recommended that "All states should permit automated enforcement using speed cameras and should encourage and support communities in using automated enforcement in appropriate situations." The paper literally promotes the idea of using less unpopular forms of automated enforcement to create a "slippery slope": "Jurisdictions where the public may not be ready to accept speed cameras may wish to use red light running cameras first". Only 14 states currently allow speed cameras, and photo enforcement has been rejected in public referendums in most cases where the issue has been brought to the ballot. 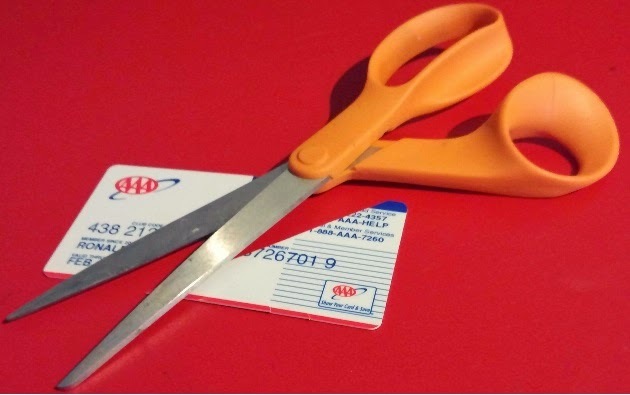 AAA often claims to be on the side of motorists, as a way of getting cheap PR. But in our opinion, their positions are inconsistent a members have little idea what they are really lobbying for, and motorists certainly cannot rely on them to speak for us. The Maryland Drivers Alliance Recommends that all those who want to protect their legal rights dump their AAA membership and join another organization which consistently supports motorist rights.